The ninth interview in a series highlighting up and coming entrepreneurs and leaders. Today we interview Steven Michael Wilson Jr Founder&CEO of Go Get It Consulting and Entertainment. Go Get It Consulting and Entertainment is a small business advisory group that specializes in Consulting, Marketing&Promotion and Keynote Speaking but we do A LOT MORE!!! -How did you get the entrepreneurial bug? I got the entrepreneurial bug since I can remember, since a youngster I always wanted to own my own business and did not work for anybody. So I took my natural abilities and made it to something great. -How did you get in the game/current foray? 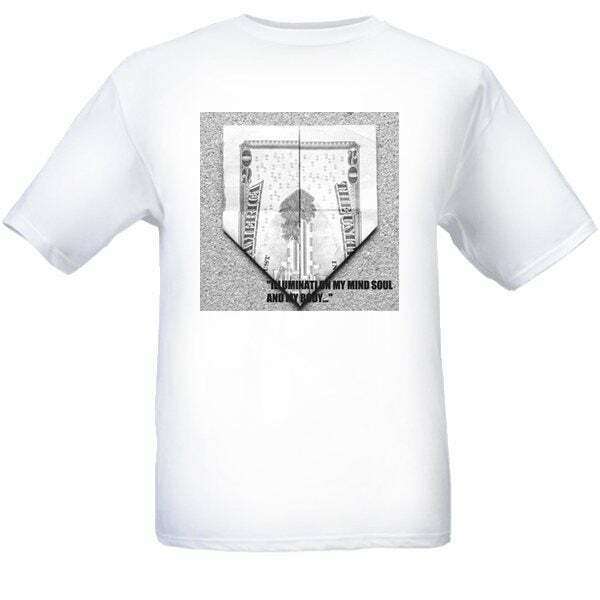 I got in the game because I saw myself always giving advice to people and then showing them had to put the advice I gave them into motion through my years of great experience in many fields. -What made you embrace your position? What made me embrace my position is that when I sat down and looked at my life is that I was always doing GO GET IT but I was not getting paid for it. -What keeps you in your position? What keeps me in my position is I LOVE what I do!!! -What are your secrets to success? My secrets to my success is that I found out that everyone has GOD giving talents and we you found out what those talents are its you job to make them PAYING talents. -What don’t you like in the game? What I don’t like in the game is all the hate and the lost art of BARTER. Many of us hate on someone else in the same business where are in just because and you don’t have to try to charge everybody money, trade services sometimes. -What do you like in the game? What I like about the GAME is that just that, A GAME and you can score a lot when you learn how to play!!! -What would you change in the game? How would I change the game….HMMM, I would make it a rule for all people and business to perform a certain amount of research before getting in the game!!! If you gave me a milli I would invest in more real estate. -What sets you apart from the game? What sets me apart is my work ethic and life experiences. -What are your thoughts on 360 deals? I like 360 Deals and think they are very necessary….If somebody gets you in the GAME through there company or efforts you need to pay back with a percentage. -What made you love hip hop? I LOVE hip hop because I AM HIP HOP…I live HIP HOP every day!!! -Who is your fav rapper/lyricist? -Best person to ever play your position? JAY-Z best rapper alive!!! Hands Down. Advice to your readers is find out what there GOD giving talents are and make a career out of it!!! Definition of success is what that individual deems!!! For me its health because if your not healthy you cant do anything and nothing else matters. -Any projects you’d like to promo? Anyone who is looking for a real CONSULTANT, MARKETER, PROMOTER OR KEYNOTE SPEAKER!!! HOLLA!!! Also we will be doing our website thus fall and be renaming the company!!! Stay Tuned!!! -Where can my readers find you on the web et al? Exclusive Interview #7. 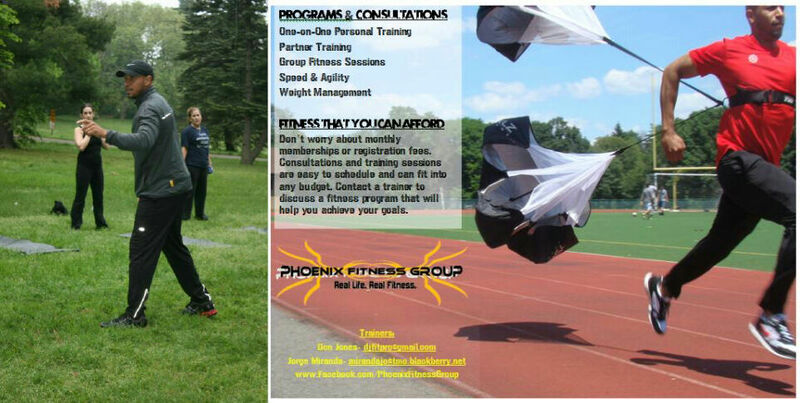 Spotlighting Don Jones, founder of Phoenix Fitness Group. The seventh interview in a series highlighting up and coming entrepreneurs and leaders. I am the founder of Phoenix Fitness Group as well as a Program Supervisor at the International Youth Organization in Newark, NJ where I supervise healthy living and environmental programming. -What certification(s) do you hold? I have a bachelor’s degree in Sociology with an abundance of experience in behavioral management. The personal training certifications I hold are from AAAI/ISMA and NCSF (national council on strength and fitness). I am also a Level 1 coach certified by USA track & field. -How did you get into training people professionally? I have been into sports and fitness since a youth, and competed in track & field as a high schooler, at Sterling HS in Somerdale, and as a collegian, first at FDU and finally at Montclair State, where I accumulated many championships and was an NCAA qualifier. Later, I became an assistant track coach at New Jersey Institute of Technology when I decided to purse a certification in personal training to increase my profile as a coach. -How long have you been a trainer? I have been a personal trainer and coach for about 5 years now . When I first got the opportunity to share my knowledge of fitness and track & field with novice athletes, I knew that coaching and fitness training was my path. I embrace to opportunity to teach and guide a person to achieving their personal and fitness goals. To see someone have a breakthrough or achieve a feat they have never accomplished, it is nice to know that I had a part in it. It makes me work harder to achieve my goals and continue to share knowledge and insight. Love of sports, athletics, and fitness is what keeps me doing this. There is always an opportunity to learn a new technique or exercise, and always a new experience to be had. There are still millions of people out there that need to hear my message of positive energy and spirit in order to live healthy and abundant. If I told you, it wouldn’t be a secret. But honestly, success is not a secret. Success can be achieved by anyone that sets clear, concise, and attainable goals. I always look forward; I can’t dwell on something for too long, even if it is a victory, because the next opportunity for success may pass me by. I don’t feel that I am a typical trainer. I encourage my clients to set goals based on the life they lead in order to achieve the life they envision. There have been times when I’ve conducted a training session that didn’t involve physical exercises. Occasionally, clients come to training sessions with a lot on their mind and we take the time to sort out life, so they can get back to living and being able to maintain a healthy balance between their physical and mental. -What do you love about training? Everything; the accomplishment, the failure, the sacrifice. Spectators see the athletes celebrate victory on the field; athletes know that victories begin with your training. Excuses. Nothing bothers me more than procrastination when it comes to fitness and living healthy. You can ‘t put off being healthy until tomorrow; if you are not living healthy today, there may be no tomorrow. -What are ppl doing wrong in the gym? Getting to the gym in the first place is a major “right” for most people, but once you get there, sometimes it is a different story. I guess what I hate to see most is people not using complete range of motion throughout an exercise. For example, it doesn’t matter if you are bench pressing 300 lbs if you only move the bar 3 and half inches. Folks need to understand the systems in the body and how they work in order to get the most out of exercises. If not, you are selling yourself short. -Do exercisers really lose more weight than calories cutters by 84% ? Well that depends on who you ask. If a person exercises and manages calorie consumption, they are more likely to achieve their goals quickly and thoroughly, and maintain their desired weight. If a person just depends on one or the other, results are very dependant on physiology. You need calories in order to exercise, because that helps to produce the energy needed to move. -Thoughts on no carb, south beach diets and atkins? -Where can people find you at on the web and in person? The longest journey begins with a single step. You must take that step. Do not be intimidated or afraid. Your body is a temple; maintain it as such. There is no reason to wait to make your life healthier and longer. Success is whatever you put your mental and physical powers to regardless if your goal is achieved in the manner that you envisioned it. It is what you are willing to sacrifice to achieve those goals and how you treat people on your way up. On September 22, in association with Vida Wellness, Phoenix Fitness Group presents How Sweet Is It Really? A discussion on sweeteners, snacking, & empty calories and a fat burning fitness demonstration. The event will take place at Vida Wellness 247 Crooks Ave, Clifton, NJ. We will have an educating discussion on the nutritive and non-nutritive sweeteners used in the foods that you eat daily, find alternatives to sweet snacks, and learn how to get the most out of your calorie consumption. After learning the basics on sweeteners and good snacking habits, join in on a fitness demonstration that will get you burning calories and fat as well as teach you exercises and stretches you can do at work, school, and on the go. Email or check out the facebook page for more info.